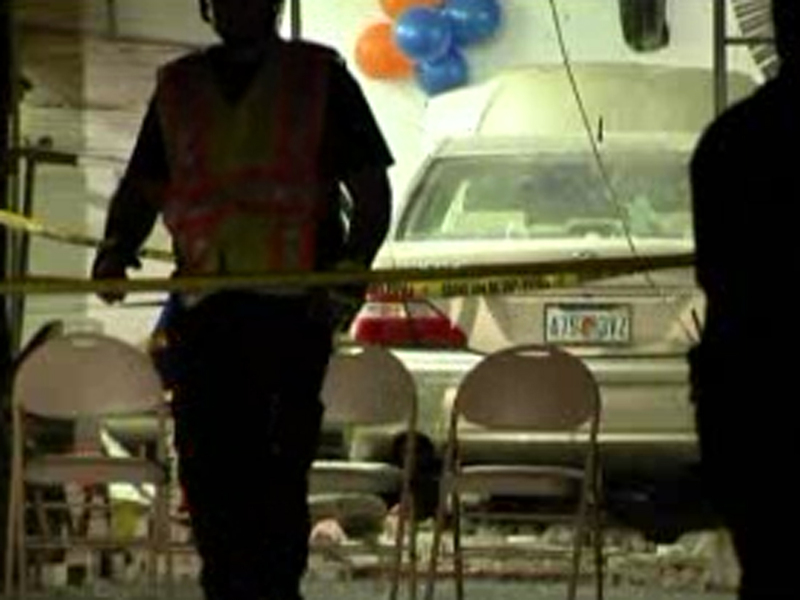 FORT MYERS, Fla. - A car crashed through a wall of a Fort Meyers, Fla. church packed with parishioners at a service prior to an Easter concert Sunday night, injuring 21, several of them seriously, police say. All were taken to area hospitals. More than 200 people were in the Second Haitian Baptist Church when a Lexus sedan rammed through the wall, pushing over pews, tables and people and trapping some parishioners under the car, reports CBS Fort Meyers affiliate WINK-TV. The driver told police the car's brakes failed as she was turning into a parking spot in the church parking lot. Police say they're treating the incident as an accident. An officer at the scene told WINK, "Twenty or more parishioners were using jacks from their cars. They must have came out into the parking lot and grabbed these jacks, and were attempting to jack and manually lift the vehicle off of several people who were trapped underneath." Through the chaos, people such as Nicolas Plancher were trying to help the injured. "We freaked out and we start pulling people from under the car," he told WINK. "Some of them was really looking bad, so we did what we had to do to take care of them. There was a lady, she was like 78. She's OK. We talked to her I think she is doing fine."